You best serve the world by doing what you love. I often start sculpting without knowing what I am going to make. As I sculpt, the ideas begin to reveal themselves. 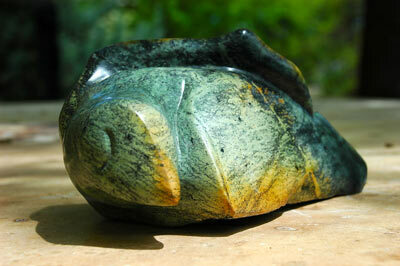 As I listen to my ideas, and I converse with the stone, the work comes through me. A sculpture must leave room for the viewer to think about the message it carries. 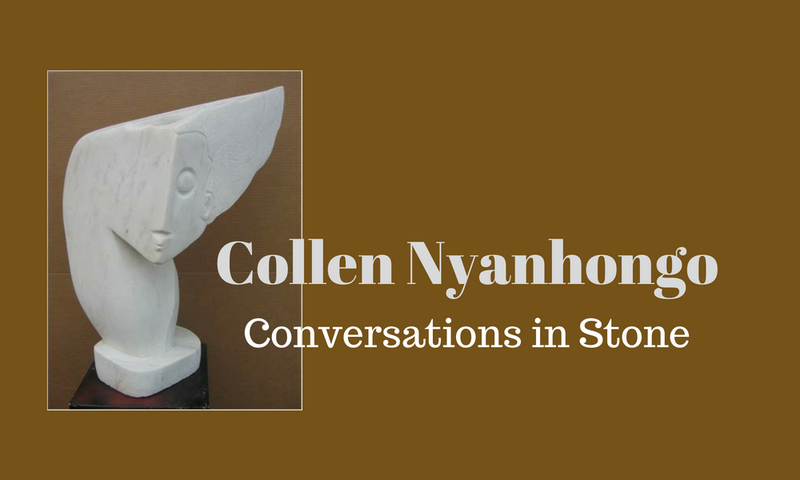 For Collen Nyanhongo, sculpting is a conversation that requires deep listening. He listens with his hands as he touches the stones shape and surface. 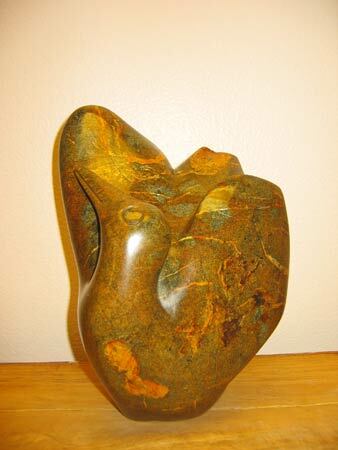 He listens with a thinking heart to the words, emotions, rhythms, spirits, and mysteries that dance within the stone. 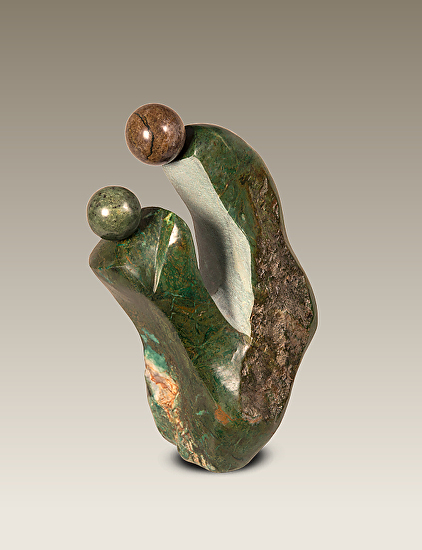 He co-creates with the stone and together they form a visual story – a timeless piece of grace that blends traditional and abstract art. 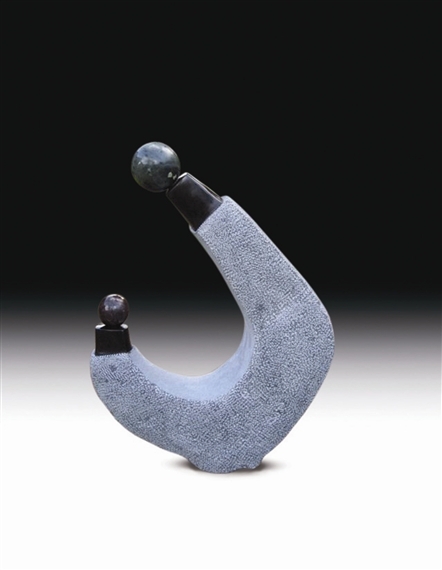 As a stone sculptor working by hand, Collen combines great technical skill with an exceptional ability to capture sensitive moods and feelings in a semi-abstract manner. His renderings of birds in flight capture their essence in a direct and often minimalist technique–reducing the subject matter to essentials. In the sphere of human expression he is masterful and very imaginative, and in all his works he brings out the best from the beautiful hard stones in which he prefers to work with impeccable attention to finish and final appearance. As a person, I have always found Collen to be meticulous, to a fault, in keeping his commitments. His frankness and openness, sense of humor and ever ready smile, ability to laugh at himself and willingness to assist physically when need, make him a person who is consistently re-invited to artistic events all of the world…His sculptures alone and uplifting and often inspiring. His teaching skills are execptional= encouraging and inspiring new talent. As a person is he responsible, motivated and committed. The marvelous Shona sculpture from Zimbabwe not only speak for Africa, but they speak for all of us. They restore a dignity to art which it is in danger of losing. Collen Nyanhongo is one of the few who can authentically and simultaneously act as a solo artist while illuminating his homeland’s spiritual, artistic and social struggles to a larger ecology. He is a powerful and gentle bridge builder living in a time when bridges are essential to our survival. It is always humbling to be with Collen Nyanhongo and watch him sculpt. Persevering a life as an artist in Zimbabwe is uncertain and bewildering under the cloud of the nation’s economy and the enormous lack of international buyers which has been amplified by Zimbabwe’s political and economic woes. Nonetheless, Collen remains hopeful, tenacious and trusting. The artist and his art is an amazing phenomenon to behold. Website by the Millennium Group LLC / www.milpond.com / No portion of this website may be reproduced without the permission of the owner.